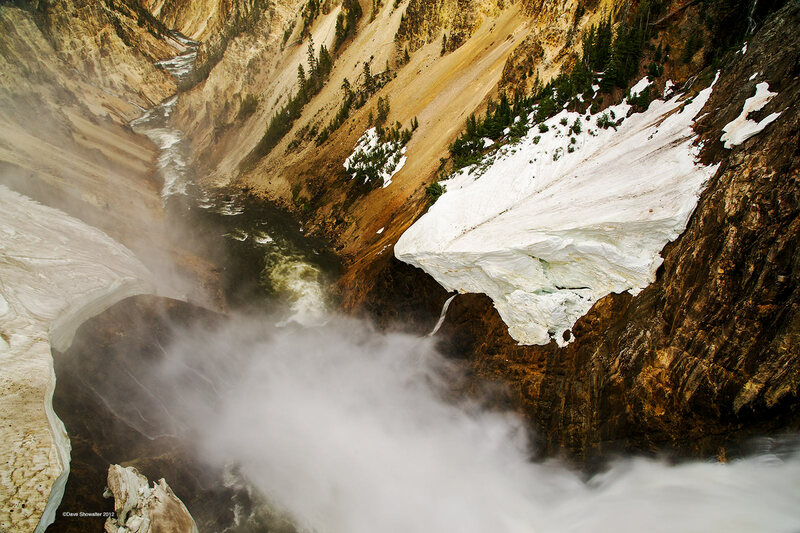 The Yellowstone River plunges over the Lower Falls during spring runoff, a time to be awestruck by the power of water. Yellow rock in the Grand Canyon of the Yellowstone comes from its volcanic history, a canyon rhyolite flow 600,000 years ago. The river stretches 692 miles to its confluence with the Missouri River. Photo © copyright by Dave Showalter.